It is the duty of the Church to proclaim always and everywhere the Gospel of Jesus Christ. 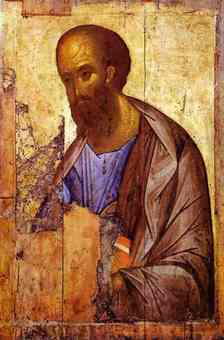 He, the first and supreme evangelizer, commanded the Apostles on the day of his Ascension to the Father: “Go therefore and make disciples of all nations, baptizing them in the name of the Father and of the Son and of the Holy Spirit, teaching them to observe all that I have commanded you” (Mt 28:19-20). Faithful to this mandate, the Church–a people chosen by God to declare his wonderful deeds (cf. 1 Peter 2:9)–ever since she received the gift of the Holy Spirit on the day of Pentecost (cf. Acts 2:14), has never tired of making known to the whole world the beauty of the Gospel as she preaches Jesus Christ, true God and true man, the same “yesterday and today and for ever” (Heb 13:8), who, by his death and Resurrection, brought us salvation and fulfilled the promise made of old. Hence the mission of evangelization, a continuation of the work desired by the Lord Jesus, is necessary for the Church: it cannot be overlooked; it is an expression of her very nature. Yesterday’s general audience (August 19, 2009) Pope Benedict took the opportunity to draw our attention to the saint being memorialized in the Liturgy, Saint John Eudes, as a model for personal renewal which will lead to the renewal of the priesthood. The zeal, the desire for the face of God, the need for conversion will lead, I am convinced, not only the renewal of the priesthood (and seminarians) but also the entire Church. Christ is the one thing we are seeking, the one person we are seeking. As the Baptist said, “He must increase; I must decrease.” AND focus on CHRIST!!!!! Read a portion of the Pope’s address. While contempt was being spread for the Christian faith by some currents of thought that were prevalent then, the Holy Spirit inspired a fervent spiritual renewal, with prominent personalities such as that of Berulle, St. Vincent de Paul, St. Louis Mary Grignion de Montfort and St. John Eudes. 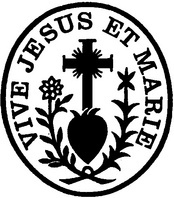 This great “French school” of holiness also had St. John Mary Vianney among its fruits. By a mysterious design of Providence, my venerated predecessor, Pius XI, proclaimed John Eudes and the Curé d’Ars saints at the same time, on May 31, 1925, offering the Church and the whole world two extraordinary examples of priestly holiness. In the context of the Year for Priests, I wish to pause to underline the apostolic zeal of St. John Eudes, directed in particular to the formation of the diocesan clergy. The saints have verified, in the experience of life, the truth of the Gospel; in this way, they introduce us into the knowledge and understanding of the Gospel. In 1563, the Council of Trent issued norms for the establishment of diocesan seminaries and for the formation of priests, as the council was aware that the whole crisis of the Reformation was also conditioned by the insufficient formation of priests, who were not adequately prepared intellectually and spiritually, in their heart and soul, for the priesthood. This occurred in 1563 but, given that the application and implementation of the norms took time, both in Germany as well as in France, St. John Eudes saw the consequences of this problem. Moved by the lucid awareness of the great need of spiritual help that souls were feeling precisely because of the incapacity of a great part of the clergy, the saint, who was a parish priest, instituted a congregation dedicated specifically to the formation of priests. He founded the first seminary in the university city of Caen, a highly appreciated endeavor, which was soon extended to other dioceses. The path of holiness he followed and proposed to his disciples had as its foundation a solid confidence in the love that God revealed to humanity in the priestly Heart of Christ and the maternal Heart of Mary. In that time of cruelty and loss of interior silence, he addressed himself to the heart so as to leave in the heart a word from the Psalms very well interpreted by St. Augustine. 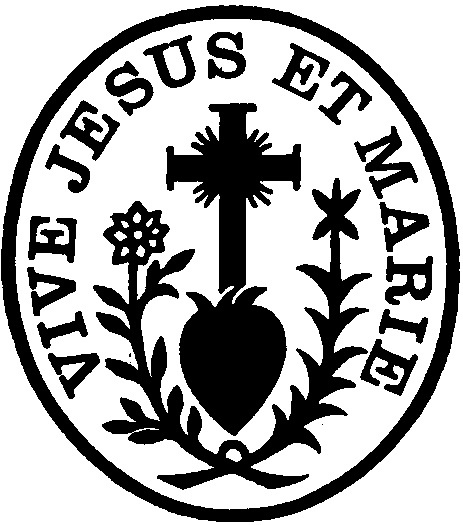 He wanted to remind people, men and above all future priests of the heart, showing the priestly Heart of Christ and the maternal Heart of Mary. A priest must be a witness and apostle of this love of the Heart of Christ and of Mary. Today we also feel the need for priests to witness the infinite mercy of God with a life totally “conquered” by Christ, and for them to learn this in the years of their formation in the seminaries. After the synod of 1990, Pope John Paul II issued the apostolic exhortation Pastores Dabo Vobis, in which he took up and actualized the norms of the Council of Trent and above all underlined the need for continuity between the initial and permanent moments of formation. For him, for us, this is a real point of departure for a genuine reform of priestly life and apostolate, and it is also the central point so that the “new evangelization” is not simply an attractive slogan, but rather is translated into reality. The foundations of formation in the seminary constitute that irreplaceable “humus spirituale” in which it is possible to “learn Christ,” allowing oneself to be progressively configured to him, sole High Priest and Good Shepherd. The time in the seminary should be seen, therefore, as the actualization of the moment in which the Lord Jesus, after having called the Apostles and before sending them out to preach, asks that they stay with him (cf. Mark 3:14). When St. Mark narrates the vocation of the Twelve Apostles, he tells us that Jesus had a double objective: The first was that they be with him, the second that they be sent to preach. But in going always with him, they truly proclaim Christ and take the reality of the Gospel to the world. In this Year for Priests, I invite you to pray, dear brothers and sisters, for priests and for those preparing to receive the extraordinary gift of the priestly ministry. I conclude by addressing to all the exhortation of St. John Eudes, who said thus to priests: “Give yourselves to Jesus to enter into the immensity of his great Heart, which contains the Heart of his Holy Mother and of all the saints, and to lose yourselves in this abyss of love, of charity, of mercy, of humility, of purity, of patience, of submission and of holiness” (Coeur admirable, III, 2). This is the summary of the Pope Benedict’s catechesis on Saint Paul for Wednesday, 27 August 2008. Here is the full text of the catechesis as published on Zenit. Online resources for the Year of Saint Paul can be found at the Vatican website, the Basilica of Saint Paul Outside the Walls, the U.S. Bishops Committee on Divine Worship and from Our Sunday Visitor. honours in a special way this year. Born a Jew in Tarsus, he received the Hebrew name “Saul” and was trained as a “tent maker” (cf. Acts 18:3). Around the age of twelve he departed for Jerusalem to begin instruction in the strict Pharisaic tradition which instilled in him a great zeal for the Mosaic Law. On the basis of this training Paul viewed the Christian movement as a threat to orthodox Judaism. He thus fiercely “persecuted the Church of God” (1 Cor 19:6; Gal 1:13; Phil 3:6) until a dramatic encounter on the road to Damascus radically changed his life. He subsequently undertook three missionary journeys, preaching Christ in Anatolia, Syria, Cilicia, Macedonia, Achaia, and throughout the Mediterranean. After his arrest and imprisonment in Jerusalem, Paul exercised his right as a Roman citizen to appeal his case to the Emperor. Though Luke makes no reference to Nero’s decision, he tells us that Paul spent two years under house arrest in Rome (cf. Acts 28:30), after which–according to tradition–he suffered a martyr’s death. Paul spared no energy and endured many trials in his “anxiety for all the churches” (2 Cor 11:28). Indeed, he wrote: “I do everything for the sake of the Gospel” (1 Cor 9:23). May we strive to emulate him by doing the same.